The Columbus Indiana Children’s Choir is a cooperative effort between the Columbus Indiana Philharmonic and the Indianapolis Children’s Choir. Ruth Dwyer, CICC Artistic Director; Camilla Gehring, CICC Assistant Director; and Deborah Eikenbary, Columbus Indiana Children’s Choir Coordinator. The CICC now also includes the Franklin Children’s Choir, a program for kids in and around Franklin, Indiana. 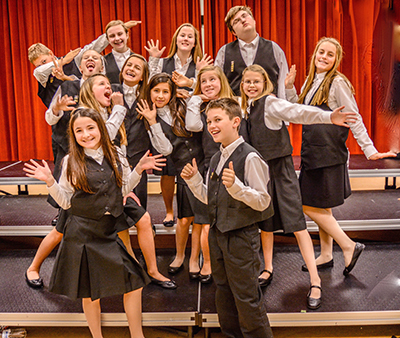 The Columbus Indiana Children’s Choir (CICC) is an auditioned group of 160 children from grades 4 through 8 in Bartholomew County and surrounding counties. The program has two choirs, the Concert Choir for more advanced singers and the Descant Choir for beginning members. Each choir rehearses once a week and performs locally three or four times each semester. Advanced singers are offered tour opportunities – past tours have included: Carnegie Hall (New York City), Washington DC, Western National Parks Tour, Ireland, Canada, and central Europe. Scheduling your audition is as easy as completing the form here and hitting the submit button or by calling us at 317-940-9640. Someone from our office will be in contact with open times available for an audition. To set up an audition for the Franklin Children’s Choir, email cgfineartsinfo@gmail.com or call (317)696-1827. The Franklin Children’s Choir meets on Thursdays at 6pm at Franklin Community Middle School. Click here for more info on the CICC and Franklin Preparatory Program! For children ages 4 and 5. Come sing, dance, move and play musical instruments and games that will enhance your love of singing and your child’s musical independence. Classes will focus on stimulating activities to build gross and fine motor skills through beat, rhythm and song. Musical games and activities will build an understanding of basic musical concepts, general vocabulary and friendships in a fun and inviting atmosphere. PARENT VOLUNTEERS: Parents and caregivers are encouraged to attend class with your child. 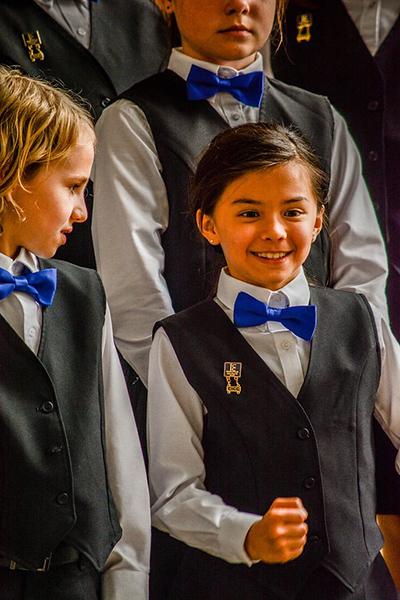 PERFORMANCE: March 8, 2019 The Snow Hugs Children will join the Descant and Franklin Choirs for our annual LOVE CHAPEL GIFT CONCERT. Detail TBA.